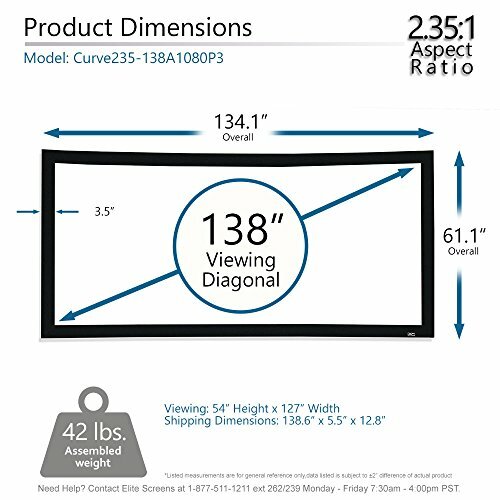 138-inch Diagonal, 2.35:1 Aspect Ratio. 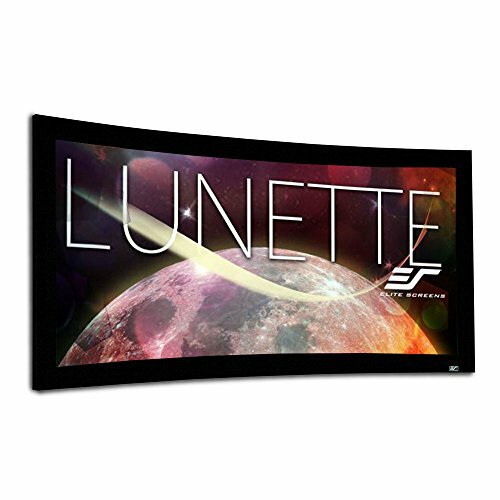 View Size: 54.0" H x 126.9" W. Overall Size: 61.1" H x 134.1" W x 3.3" D.
Moiré-Free screen material: AcousticPro 1080P3, 1.0 Gain. 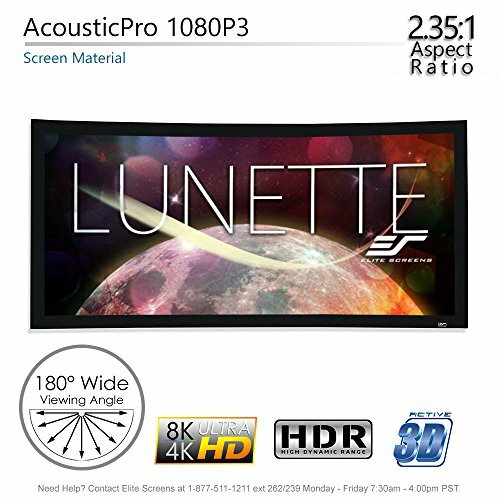 Angular weaved, acoustically transparent front projection screen material with 160 degree viewing angle. 4K Ultra HD and Active 3D Projection Ready. Offers superb off-axis luminance and optimal color neutrality. 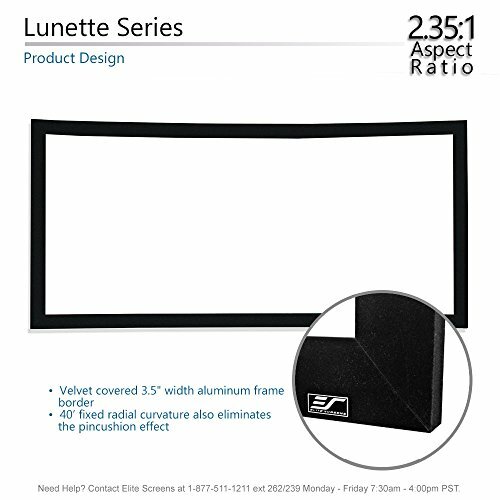 Features a submursive curved design, framed in a black velvet 3.5" aluminum frame. Adjustable fix plates provide equal tension over the entire projection surface. 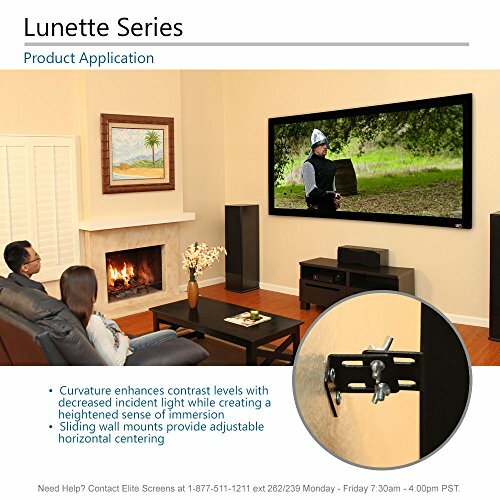 Includes installation kit with sliding wall mounts that allow adjustable horizontal centering. 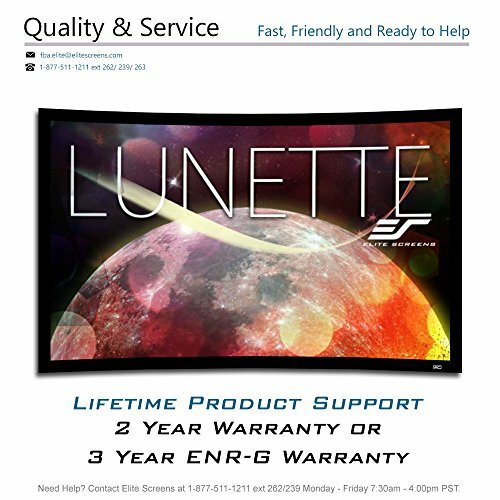 2-Year / 3-Year ENR-G, Manufactures Warranty by Elite Screens' an ISO9001 manufacturer since 2004 and Lifetime Tech Support by Email, Web Chat or Toll Free Phone Call by Elite's Professional Service Team.